Yes, it’s possible to fall somewhere in between. Big personality tests, such as Myers-Briggs, are undoubtedly popular (and fun to take!). 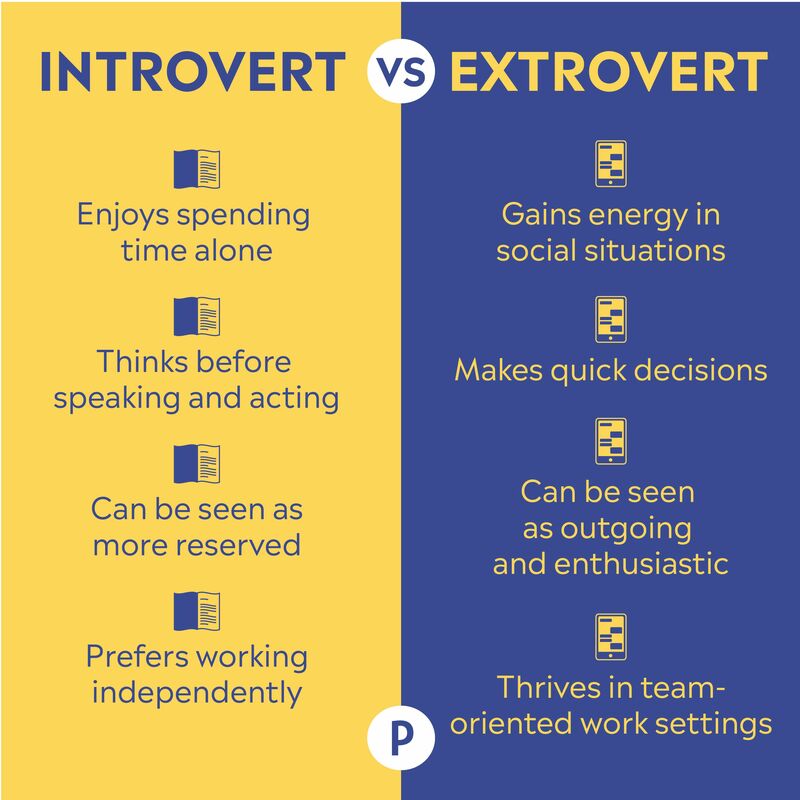 And many of us take sides when it comes to traits like introversion and extroversion, falling into one camp over the other. Even more? Most of us actually fall more in the middle of the personality spectrum than we think. Some people are very introverted, while others are incredibly extroverted. And the rest? “There are many people in the middle, who are not either strongly extroverted nor strongly introverted,” says organisational psychologist Dr Ronald Riggio. You’ve likely heard of the terms ‘extroverted introverts’ or ‘introverted extroverts’-but Riggio says some psychologists actually use the term ‘ambivert’ for people who share traits of extroversion and introversion. So what are ambiverts and how can you tell if you are one? Allow personality researchers to explain. What is an ambivert, exactly? Ambiverts tend to have traits of both extroverts and introverts, says Riggio. Extroverts are usually talkative, assertive, excited, gregarious, social, and get energy from being with people. Introverts are usually the opposite: quiet, unassertive, not particularly excitable, and more solitary. Being in social situations is more draining for introverts. That’s why there is no single way to define an ambivert. You might, for example, be somewhat (but not *super*) talkative with middle-of-the-road assertiveness or you might be really assertive, but not especially sociable or excited, she explains. Would you rather stay home and read a book (introversion) or go out and meet new people (extroversion)? Do you enjoy lively, crowded parties (extroversion) or small gatherings with close friends (introversion)? Do you regularly talk to strangers (extroversion) or mostly keep to yourself when around strangers (introversion)? Then, if you want some official results, consider a test. “There are many good, free online tests to get a sense of your level of extroversion and introversion,” says Vazire. She suggests The Big Five Project and The SAPA-Project Personality Test.